Tiki torches are practical and functional. They use real flames for illumination and have a fuel reservoir hidden inside a decorative casing. 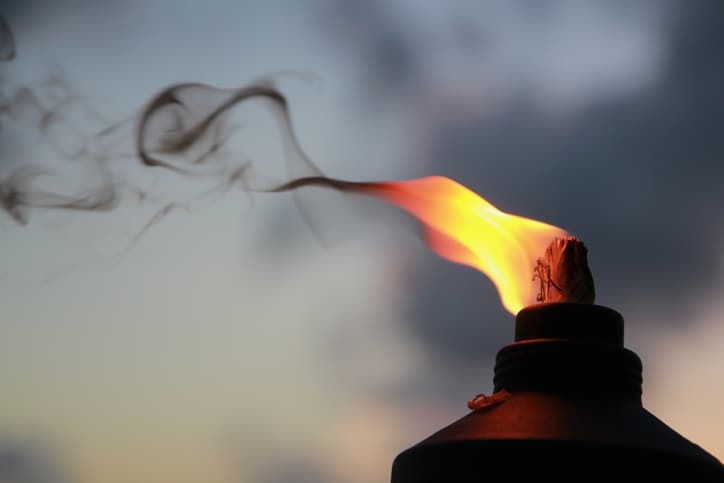 A wick soaks up the fuel and is lit at the top, creating a safe and controllable flame. As long as the torches are secured into the ground firmly and are installed away from flammable materials, they are very safe to operate. 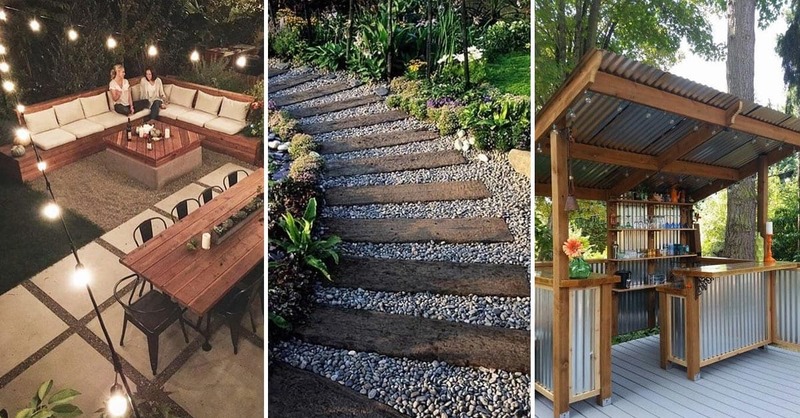 Learn how to liven up your backyard with over 7250 Breathtaking Landscaping Designs WITHOUT Hiring Costly Professional Landscape Designers. 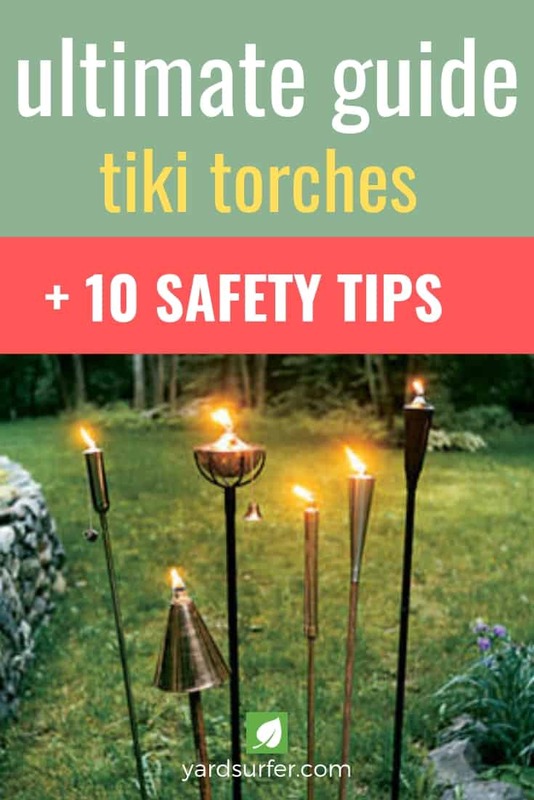 One of the biggest advantages of using tiki torches in your backyard is the ability to keep the mosquitoes at bay so you and your friends can enjoy some time outdoors. 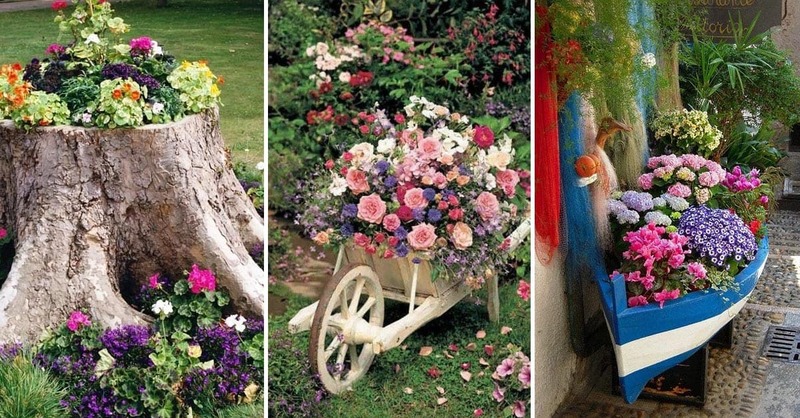 They also help set the mood and create the perfect ambience for an outdoor gathering. Depending on the amount of torch fuel you use, you can expect an average and standard burn rate of approximately one hour; however, if you use a metal canister with 12 ounces of torch fuel, you can expect a much higher burn time that can go as long as 12 hours. You and your guests can have hours of light and remain bug free. 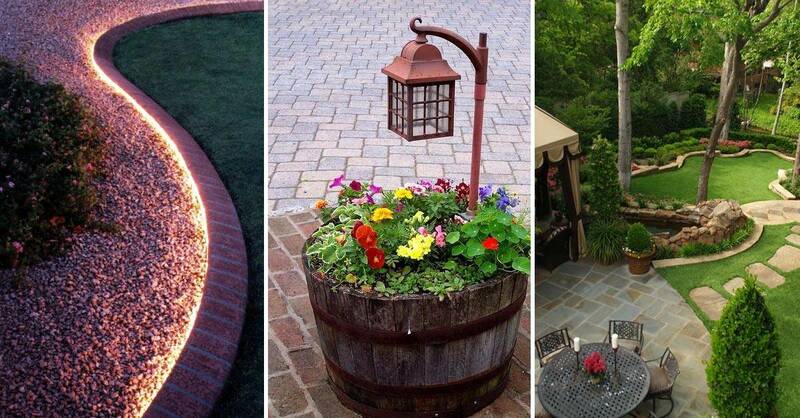 They also make a decorative addition to any outdoor space and can help illuminate the darkest areas of your yard. It is recommended that a tiki torch have at least 6 feet of clearance on all sides. This includes trees, awnings, patio furniture, and even other torches. This is simply a precautionary measure. 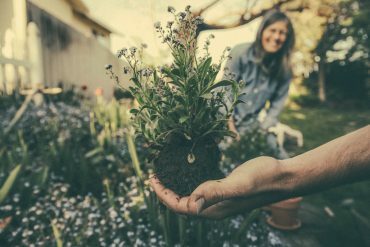 A level surface is recommended, such as a rock bed, lawn or plot of bare ground. These torches stick into the ground with stakes, so soft ground is a must. Tiki torches can be used to illuminate a patio, walkway, or deck and makes the perfect lighting for any after dark entertaining. Spacing them out between the recommended six to eight feet is not only for safety, but also allows an adequate amount of room for people to walk through them. Avoid burning a tiki torch within an enclosure such as a gazebo. See the “Safety Tips” section below for more information. 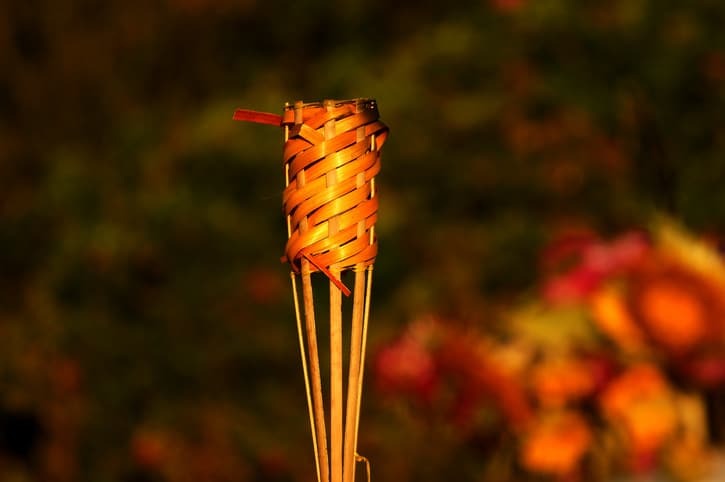 Consumers no longer have to stick with plain bamboo tiki torches anymore. Today, torches are crafted into styles which are suited to more diverse applications and tastes. 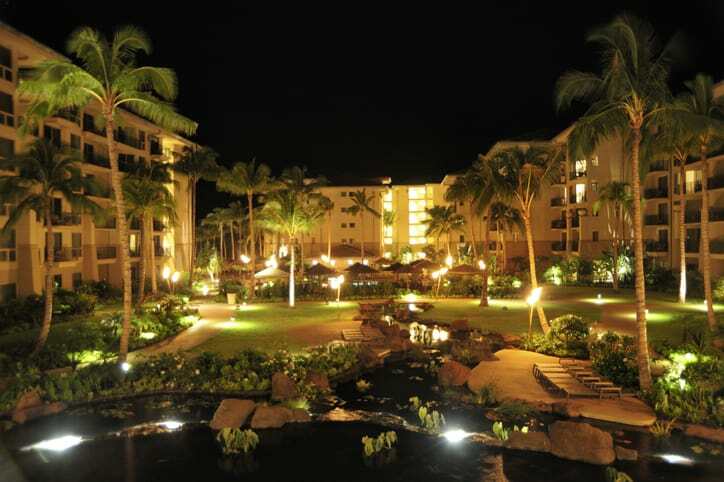 Torches are crafted from all sorts of materials including bronze, copper and even stainless steel. The functionality between these styles remains the same, so choosing your favorite model does not mean a reduction in functionality. A bigger tiki torch does not necessarily mean that the flames will be bigger. A bigger flame and thus brighter illumination is largely dependent on the size of the wick, which can be difficult to gauge since most manufacturers do not specify this. 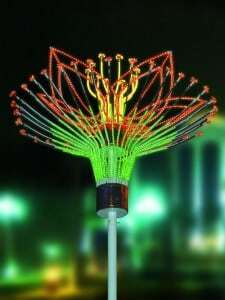 The height of these torches hovers around 5 feet, although there is variation in height. The torches should be higher if children and pets are present. Citronella-based fuels are the most common and have the added benefit of repelling flying insects. 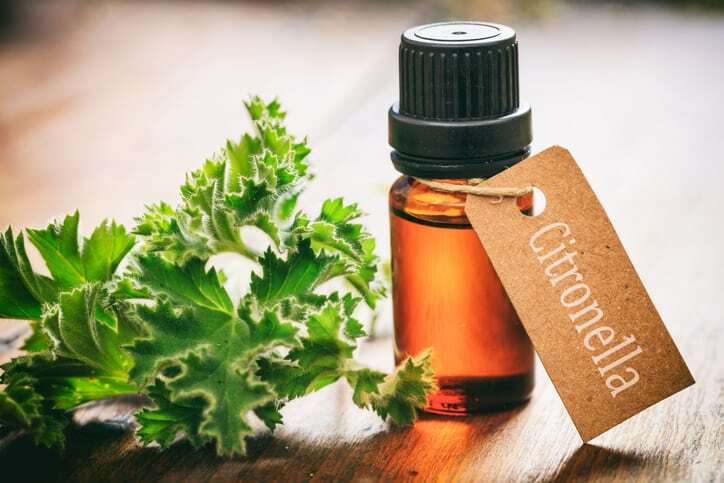 Citronella is a natural bug repellent and is sometimes coupled with Lemongrass for added effect. Other types of torch fuel includes bio-ethanol, cedar oil, and paraffin oil. Keep in mind that citronella based fuels have a much milder smell than others and produce a relatively minimal amount of smoke when burned. However, this type of fuel may prove to be a bit more expensive than other types, but you will soon see that the benefits far outweigh the higher cost. When purchasing your tiki torch fuel, it is also recommended that you purchase the fuel in larger quantities rather than smaller quantities because the cost per ounce lowers significantly when you purchase more. 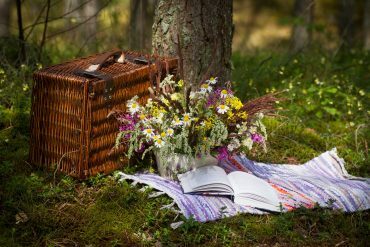 It can also be stored indefinitely when it is kept closed and is stored away from light and excessive heat. Propane tiki torches have some distinct advantages over wicked models. In this setup, pressurized propane is held in a small tank. Once a valve on the torch is opened, propane feeds out of the top spout at a constant rate. The fuel is quickly lit to create a solid ambient flame which is highly resistant to wind gusts. No wick is required, so you’ll never need to replace wicks. The downside is that only one torch can be active per tank unless a special adapter and tubing are bought. Also, users must find a hidden place to place the tank within several feet of the torch. The intensity of the flames may be adjusted by simply adjusting the tank valve: an option not available on wicked torches. Every tiki torch can be slightly different, so it’s best to refer to the manual that came with it. First off, ensure that you have the proper fuel on hand. If the torch requires citronella, stick with that particular fuel. 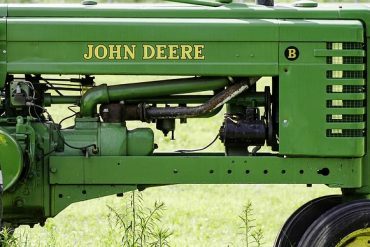 Although gasoline or kerosene may be on-hand and convenient, using the wrong fuel can have unintended consequences. Open up the top of the torch by unscrewing the guard. The wick should pull out with the guard as it is lifted up and out. Be prepared for dripping fuel. Add fuel to the reservoir, leaving 1/2 inch of space between the fuel line and the top of the reservoir. Place the cover back on, ensuring that the wick goes down straight. That’s all there is to it. All tiki torches: except for propane-fueled utilize a wick which is made from fiberglass strands. The fiberglass absorbs fuel from the holding chamber and is burned off at the tip to create the flame. These wicks come in replacement packs and are easy to change out. As the tip is burned away, users can pull out more length until the wick becomes too short to absorb properly. Cotton wicks are available but burn down quicker than fiberglass. 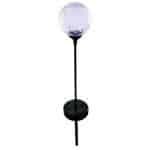 The majority of tiki torches available for purchase come equipped with a snuffer cap that is attached to the wick ring. The cap protects the wick and can also be used to safely and effectively extinguish the torch. Place the cap of the snuffer over the flame and leave it in place until the flame is completely eliminated and then remove the cap to allow time for the wick to cool down. Once the wick has cooled completely, you can replace the snuffer cap for storage to protect the wick for future use. Interested in straying from the conventional torch? There are two alternatives to post-style tiki torches, which include table-top and mounted models. Table-top tiki torches are similar in shape to a large candle and have no post. These quaint little units work in the same fashion as their large counterparts except that they sit on a flat surface. Mounted models are designed to attach to a wall or deck and need no posts. 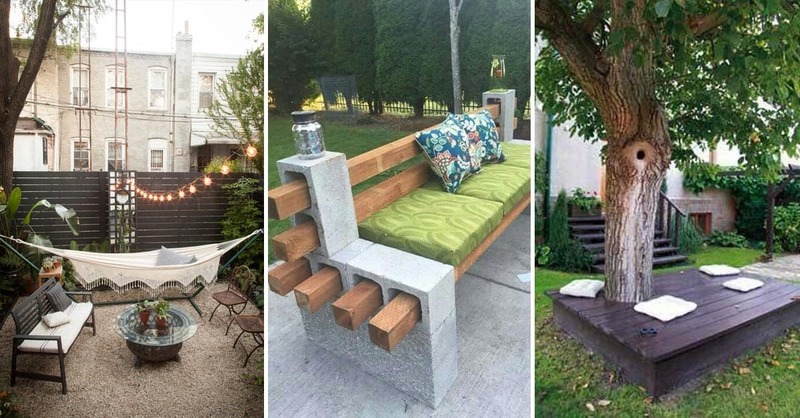 Both of these alternative styles offer unique and unexpected positioning of a tiki torch. Deck rail mounted torches are ideal for bordering the edges of a fenced deck. It is important to note that electric torches battery powered, wired and solar do not burn a live flame but instead use a flickering yellow light bulb. The advantages of such torches are that they need no refueling, are impervious to wind, and can be activated in an instant. The LED bulbs within the housing do a pretty good job of simulating real flames with flickering action. 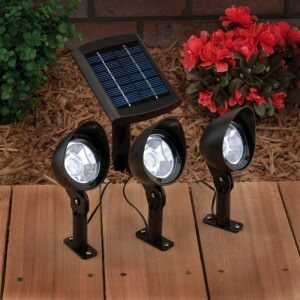 Solar tiki torches have a solar sensor which provides automatic activation and shutoff- no user input is necessary. The same automation can be achieved with wired models by connecting them to a timer. To avoid being the person who has green, moldy torches due to lack of care, adhere to the following care tips. Regular cleaning can be done by wiping the tiki torches off with a soapy rag. Clean off any dirt and debris on all surfaces, including inside of the cup that holds the fuel reservoir. The fuel reservoir should be inspected regularly for cracking and chipping. Leaking fuel is not a good thing. 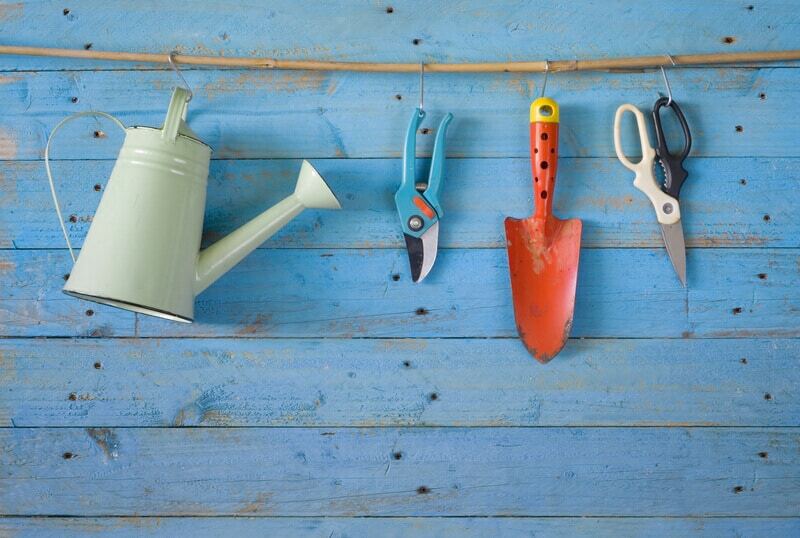 When not in use for an extended period of time such as throughout winter, pull each torch out of the ground and store them upright in a storage shed or garage. If desired, the fuel can be carefully poured out of the reservoirs so that the tiki torches can be laid flat for storage. 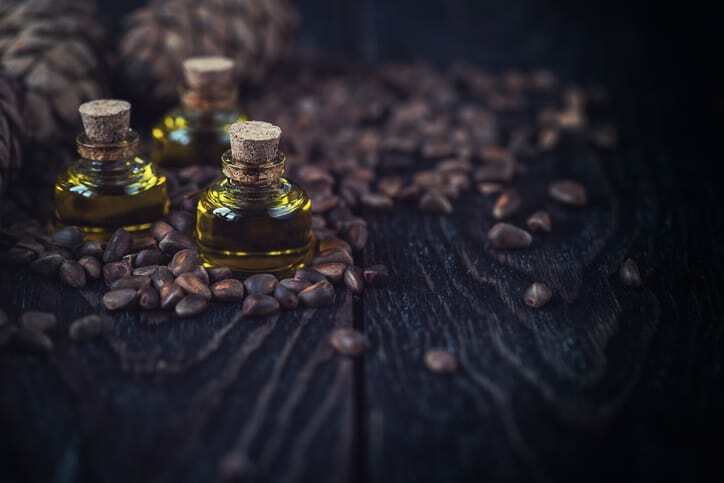 Pouring the fuel back into the original container is perfectly acceptable and when properly stored, the chances of any evaporation of the fuel is almost nonexistent. Avoid storing the torches around heat sources like water heaters or radiators. To avoid pulling your torches in and out of the ground and aligning them each time, you can make some cheap ground mounts that can be used year after year. To do this, cut a foot-long piece of PVC tubing and place the tube into a pre-dug hole in the ground. Pack dirt around the tube (or concrete), making sure that the tube is straight. Stick your tiki torch into the ground tube for quick setup. The diameter of the tubing should be just a bit larger than the diameter of the tiki torch post. If desired, pack the tube with dirt/concrete after installation for permanent and reliable installation. Never burn a tiki torch indoors or inside of an enclosure. The fumes can quickly build up and become toxic. Enclosed environments are also likely to have nearby materials which can catch ablaze. Do not leave the torches unattended when lit. Shut off all wicked torches by placing the top cover on. For propane torches, close the valve on the tank. Leaving the torches unattended for a brief moment is fine. Store all fuel containers well away from the torches. Keep your fuel away from heat sources and high traffic areas where the container could be tipped over or crushed. Keep at least one chemical-based fire extinguisher on hand in preparation for an uncontrolled fire. You never know what might happen – someone could accidentally fall into a torch or a tree branch could catch fire. Using a garden hose will only serve to spread the oil around further. Never move or handle a lit torch. Wait for the unit to cool before moving it. If a hot torch is moved, the searing wick could re-ignite the fuel as it is jostled around. Moving a tiki torch can result in the fuel spilling onto clothing. If a flame were to re-ignite and transfer to the body, severe burns are indeed possible. Mount the torch securely into the ground at the proper depth. The torch should not wobble to the touch. Torches with free-standing bases should be placed on a hard, level surface and should not be used in extreme wind. Torches mounted to fences should be checked for a secure connection and not be mounted to deteriorating wood. Table-top models are best set at the center of a table, not near the edge. Keep a clear distance between the tiki torch and surrounding objects. Clear all ground debris like leaves and dead plants. Avoid posting a torch near overhanging objects like branches, flags, awnings, and patio umbrellas. Do not fill the reservoir to the max. Over-filling increases the likelihood of spilling. Once the wick is submerged, the tiki torch will function just fine- extra filling will not result in increased performance. If fuel is accidentally spilled onto the torch when refueling, wait until it evaporates before lighting, or else the entire torch could catch fire. An excellent idea is to remove the reservoir prior to filling and refueling it on a flat surface. Replace cracked or damaged components immediately. This includes the fuel reservoir, torch frame, torch pole, wick, and top cap. 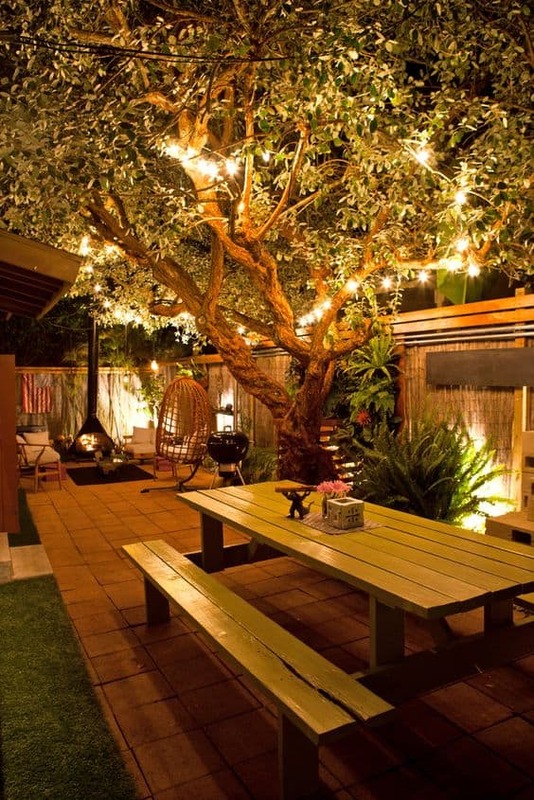 Learn about patio umbrella lights. 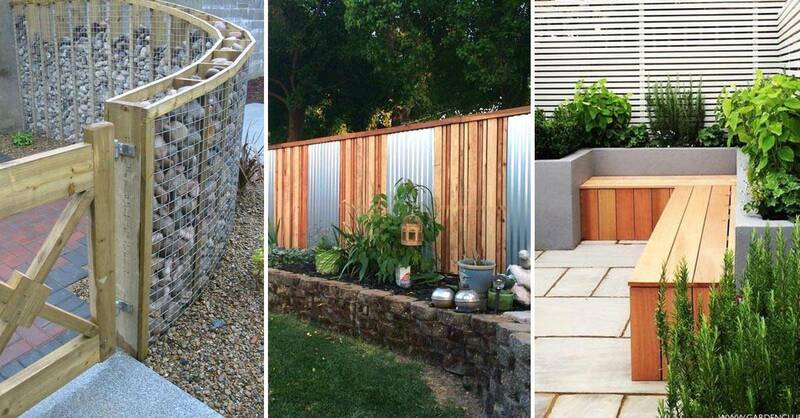 If you want to save $$$ on your landscaping project check this out.